The Palette Table JH6 by the Danish manufacturer &tradition represents a successful composition of colours, materials, and shapes. For his design, Hayon let himself be inspired by the kinetic sculptures of Alexander Calder. Different tiers, which are connected to each other with a black metal frame, make the side table a reminder of a kind of mobile that displays dynamism and lightness. 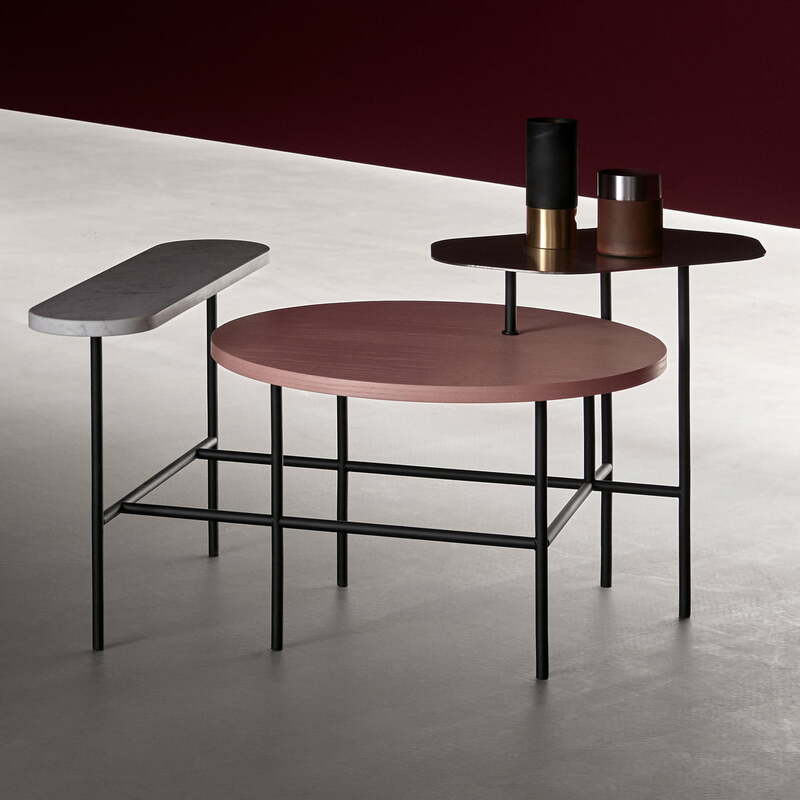 The combination of three surfaces makes the table an absolute eye-catcher: The round, pink surface in stained ash forms the base, on which sits a rounded hexagon shape made of grey stainless steel. The classy white marble surface in the form of an elongated oval serves as the top tier. 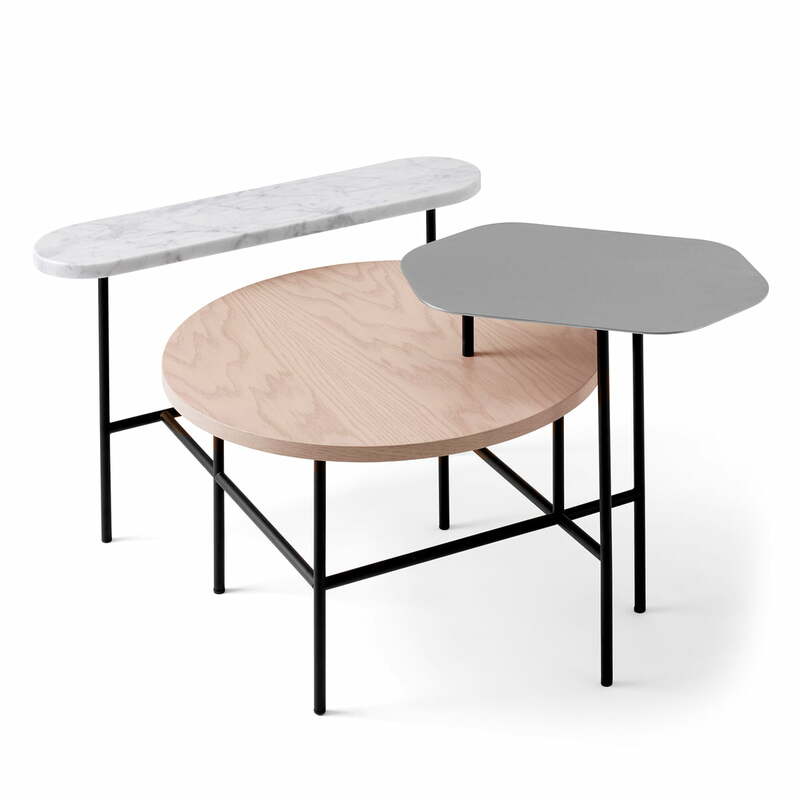 Like a kind of collage, the three tiers - despite their different textures - form a harmonious ensemble, so that the table serves as a stylish storage space in the living area. Individual image of the Palette Table JH6. The three different tiers made of stainless steel, stained ash, and white marble form a harmonious ensemble that becomes the highlight in any room.